In this tutorial you will learn how to set up SSH keys on your local device and use the generated pair of keys for connecting to a remote server. This method is more convenient and provides a more secure way of connecting to the remote server/machine than simply using a password. Additionally, you can check out this tutorial on “How to Connect to your VPS using Putty”. It will be very helpful if you are running Windows OS and not sure how to connect to the server: How to Connect to your VPS using Putty. Access to your local device. Access to the remote device. 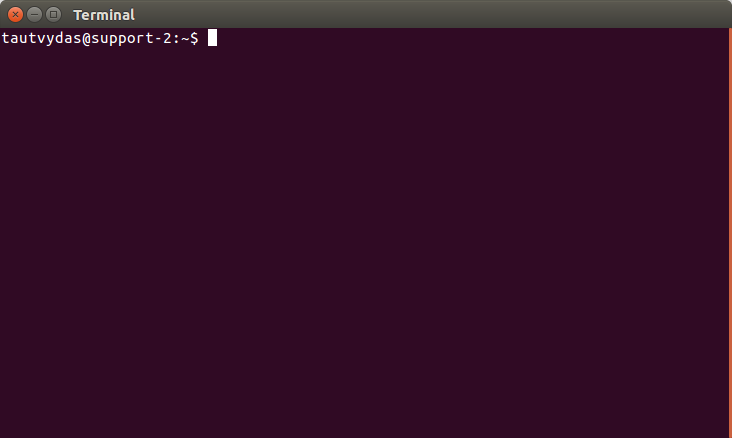 A terminal suitable for SSH connection. You can generate and set up the RSA keys on Linux / Unix system using any kind of Terminal type of environment which your local device has. Now for convenience reasons, I like to leave those empty as well. That way, after setting the keys up with your remote server, you won’t need to use any kind of password to log in. 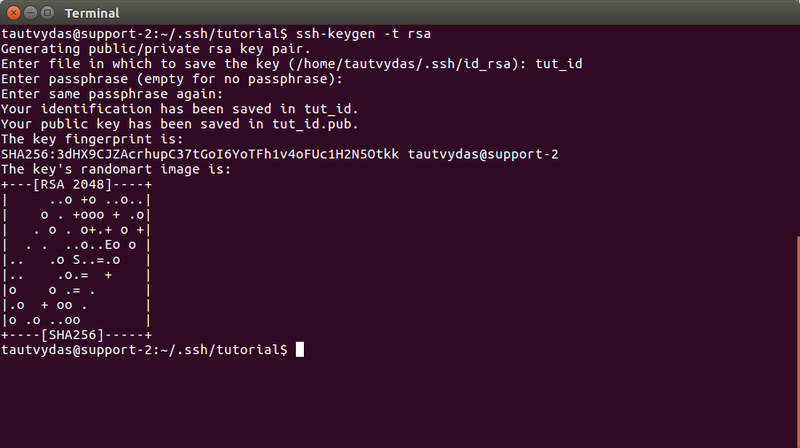 You will simply enter the ssh user@serverip command and it will log you in as long as the keys are properly set up. But if you need even more security, you can enter a passphrase in this section. If you choose this option, you will need to enter the password every time you connect to the remote device. Your generated Image WILL look different from mine. As well as the key fingerprint. IMPORTANT! There are two keys created here (PRIVATE and PUBLIC): tut_id and tut_id.pub (in your case, should be id_rsa and id_rsa.pub). Take a VERY good care of the file named id_rsa (this is the PRIVATE key), have it ONLY on your local device and DO NOT give it to ANYONE. Other file, id_rsa.pub must be uploaded to your remote machine. So for example, if you and your friend is working on the same project in the same remote server, you both can put your public keys in that remote server. In the next step, we will learn how to do that. After generating the RSA key pair, we have to put our public key to the remote virtual server. Here instead of serverip, you have to enter your remote server’s IP address and instead of user, you have to enter the username of the server you are connecting to. Type in yes in the command line and hit ENTER. This message appears only the first time you are performing this action. as the new public key has been added to your remote server. Now every time you log into your remote server, you won’t be prompted for a password (unless you set up a passphrase for your RSA key in the generation process). In this tutorial, you have learned how to generate SSH private/public key pair and use those keys with your remote server in order to set up a more secure connection than simply using the password. It seems that you forgot to create the file.